Fidget Spinners have been the massive toy craze of the year for sure, and the hype’s not over yet. My sons are still massively into their spinning wonders, and to be honest I am too. I just love them. 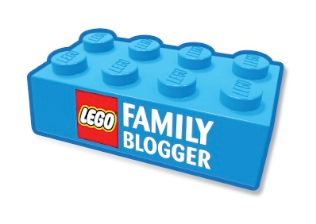 They keep the boys entertained for ages, keep their hands busy, and are easy to take around in my handbag or your pocket. My only gripe with them is the variations in quality. I know that most are cheap and only a couple of pounds, but some are £5 or even £10 and when you get to those prices you would like to think there would be some consistent level of quality. We have found that some the very cheap spinners have been our best, well moulded and with a good spin. However some more expensive ones have had rusted bearings from straight out of the pack. Rusted bearings does not a good fidget spinner make. 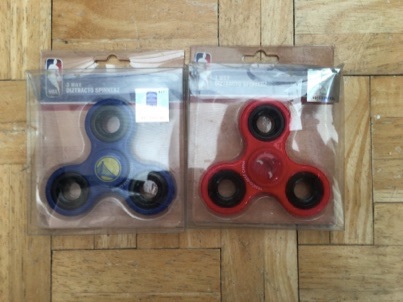 So when we got the opportunity to review some official NBA branded fidget spinners we were delighted. 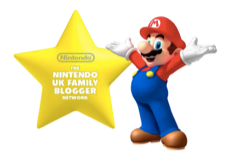 I was keen to find out if an official product would mean a better quality product, and am pleased to say thats just what we found. The first thing you’ll notice with these spinners is the superior packaging. Them come in a lovely package with an official hologram, and you can just see the quality compared to cheaper spinners.If you were going to buy a fidget spinner as a gift these would be ideal as the extra quality of the packaging makes it much more of a gift. Next onto the spinners themselves. We like that they are lightweight, but not too light if you know what I mean. They just feel nice in the hand. But the best part are the finger grips. The Teams logo’s look great whilst your spinner is going round, but it also feels great to spin too. 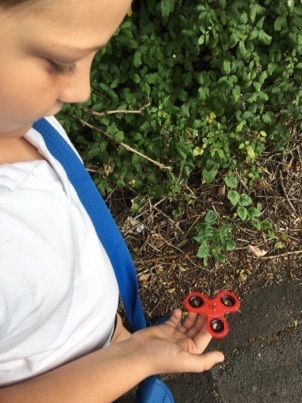 We’ve found that most of the fidget spinners we have collected have either flat grips, or concave. 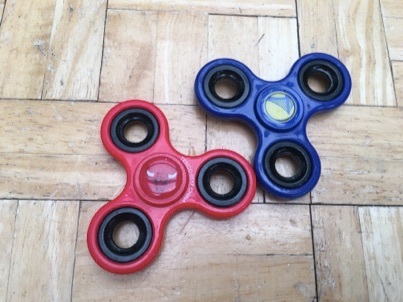 However these spinners are rounded outwards on both side, so they feel really nice between your fingers to spin, and they go really very well on a flat surface. My Youngest Jacob absolutely loves these Spinners as they are so easy to get a massively long spin. They are definitely the best Fidget Spinners we’ve had out of a bunch of around 10. At £7.00 they are perhaps more expensive than some Fidget Spinners, but by all means not excessively so. Personally I’ve bought £10 versions from the stalls in the town centre, and they haven’t had half as good a spin as the NBA Ones. I wouldn’t hesitate to recommend these Fidget Spinners to anyone who’s looking for a quality spinner, Plus if your a big NBA fan to boot then it’s a no brainer.